These award wining Open yachts are some of the most popular sports yachts for charter around the world due to their stunning Italian styling and high performance hulls. All yachts in the Leopard range include large sunpads on the fore decks so charter guests can relax in the sun during the day, or take in the stars at night while sipping on cold glass of champagne. 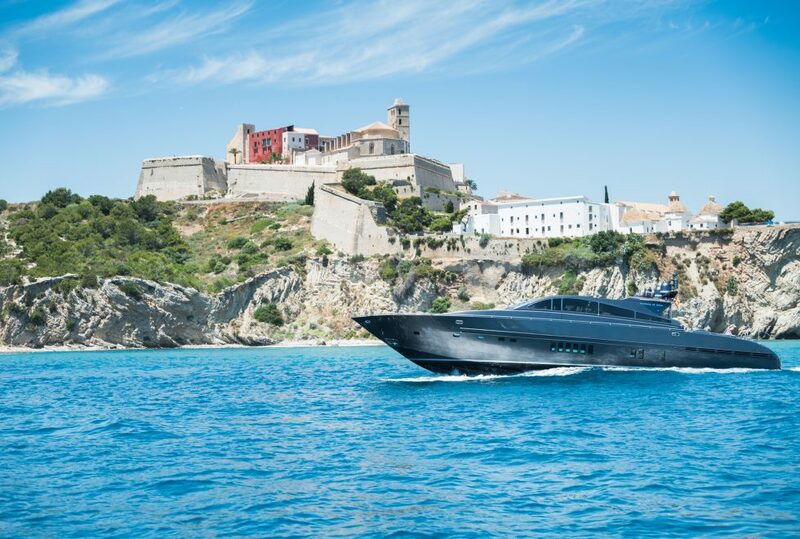 Powered by 2 diesel engines the Leopard is capable of a top speed of 32 knots, and comfortably cruises at 26 knots. 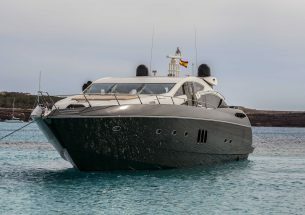 Interior configuration has been designed to comfortably accommodate up to 6 guests overnight in 3 cabins, comprising a master suite, and 2 double cabins. 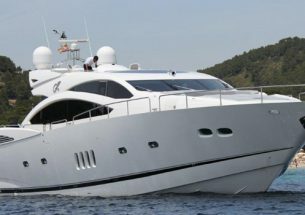 She is also capable of carrying up to 3 crew onboard in 2 cabins to ensure a relaxed luxury yacht experience. Full day charter is up to 8 hours. Start times are on request, though usually between 11:00 to 13:00. Please ask if you would like a later start to watch sunset on board. *Calculated on a trip to Formentera (Ibiza - Espalmador - Illetas - Cala Saona - Ibiza). Approx 1.5h of cruising. 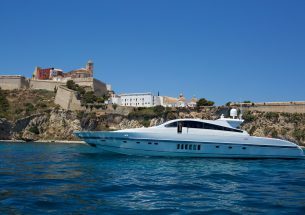 The price includes captain/ crew, beer, wine, cava, soft drinks and water, snacks, towels, snorkels and paddle boards. If the boat is late departing due to the late arrival of your party then please note it may not be possible to extend your return time.